Things have gotten a little harsh as of late. 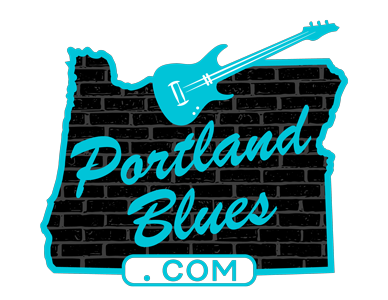 First, Portland’s premier blues icon Curtis Salgado suffered a mild heart attack while on tour on the East Coast. Mild? Is there really anything mild about a heart attack? When hospitalized it was discovered that he had major blockage in his arteries and underwent multi-bypass surgery. All went well we’ve been told, but we still send out our heartfelt best wishes for his recovery. Shows through May had to be canceled, so it also causes loss of income for the band as well. Curtis is planning on being at the Blues Music Awards to sing, but this is only a ten-minute performance so hoping that it will work out for him. And we hope to see him back onstage in full strength soon. We got word mid-March about Duff’s Garage being sold and changing hands at the first of April. It doesn’t sound like it will continue to be a music venue, which in itself is another sad loss. But we’ve heard people remark that the venue was closing because it wasn’t making enough to keep it going. Jon & Jennifer Wallace have said that is not the case. Jon has come to the decision that he’d like to retire and Jennifer is looking at a different direction in her career. But mostly, the couple want to share more time with their son. When you’re working full time each night, it doesn’t give you much family time so we need to appreciate their choice. Duff’s Garage has meant a lot to our blues community over its fifteen year history. We witnessed a lot of history go down in both venues. So many shows come to mind from that tenure: Hillstomp making one of their very first public performances, Tuesdays with Dover Weinberg’s Quartet and Wednesday night jams with Suburban Slim, CBA events including IBC fundraisers and Brandon Santini’s debut performance with his then band Delta Highway. Images of Rick Welter will always come to mind along with the first appearances in Portland from touring acts like Gina Sicilia, Samuel James, and Nikki Hill. Regular national acts stopping in like The 44s, Candye Kane, Nick Moss, John Nemeth. Tom Royer’s fundraiser. Fiona Boyes made it a second home when living and visiting Portland. Just too many good times to list them all, so thank you Jon & Jennifer for making a welcome location for the blues in Portland. But it does lead to a very important question. With the loss of Duff’s Garage and Jimmy Mak’s a couple months before, where will the touring musicians now find a spot to play in Portland? The Lake Theater has offered a location on Monday nights, and venues like The Alberta Rose Theatre, Aladdin, Revolution Hall, Roseland and Crystal Ballroom are fine for larger spaces and can accommodate the well-known artists. But it is those smaller acts trying to break-out who will find it harder to find dates in town. And we all lose if someplace cannot fill the need. It also hurts local musicians with the loss of established venues. Recent openings of places like Vinyl Tap and Catfish Lou’s will help. I had the opportunity to visit both lately and they were packed on both visits. Please support these venues and others throughout the city/region. Without our support they cannot survive and the loss of any music venue in this town is one too many.